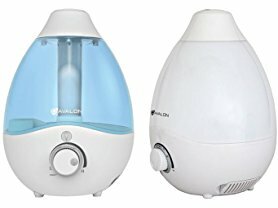 Today only and while supplies last this Avalon Premium Cool Mist Humidifier is only $19.99 (Reg. $49.99) at Woot.com! Shipping is FREE for Amazon Prime Members or only $5 flat rate. SAFE FOR CHILDREN: With ETL Safety Approval, this humidifier is safe for children. It can purify the air, eliminate bacteria, &amp; reduce dust levels wherever it is used.